The PEARRL network provides scientific and professional training to 15 PhD students in the pharmaceutical and biotech industries. Each PhD student is supervised by a team of experts from academia and industry. In some cases, this team also includes a specialist from a regulatory agency. 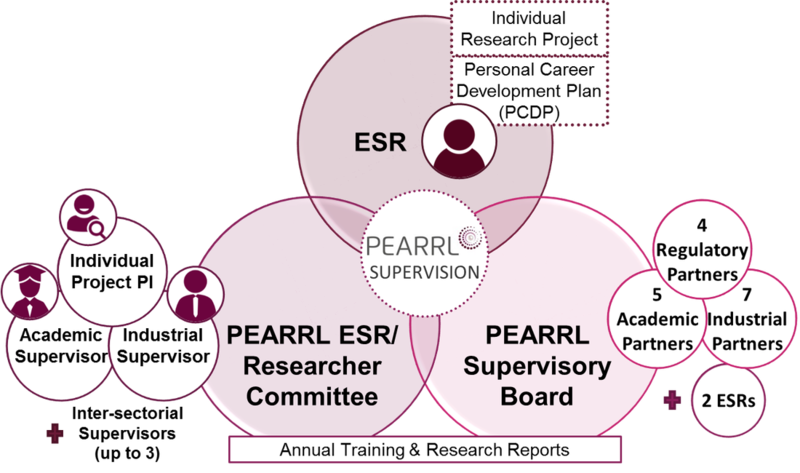 Each ESR position in PEARRL allows the researcher to work towards a PhD. Every ESR will work on an independent research project which will be flexible enough to match the competence and goals of the candidate. The PEARRL Scientific Advisory Board (PSAB) consists external experts from academic, industry and regulatory with the aim of bringing independent advice and additional viewpoints to the PEARRL research and training programme.